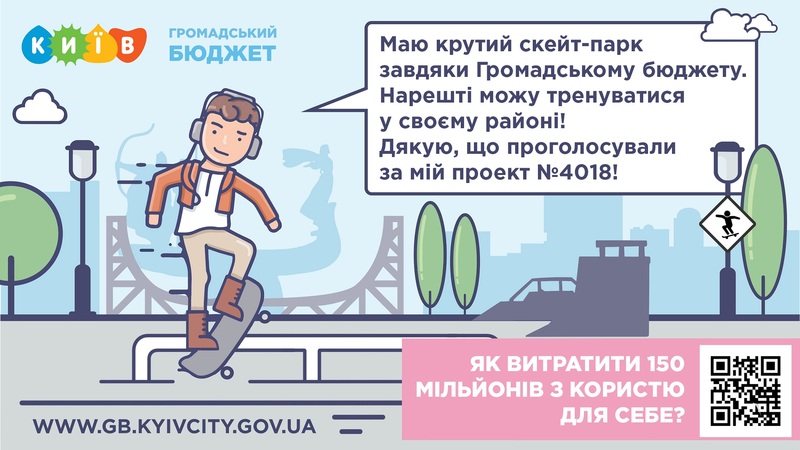 In August-September 2018 in Kyiv it was impossible not to notice the Civil Budget 2019 municipal project informational campaign: events at all city districts, public discussions, information resources, social networks, outdoor, subway and other transport… The campaign reached 2 million citizens and 550k project website visits through the month. 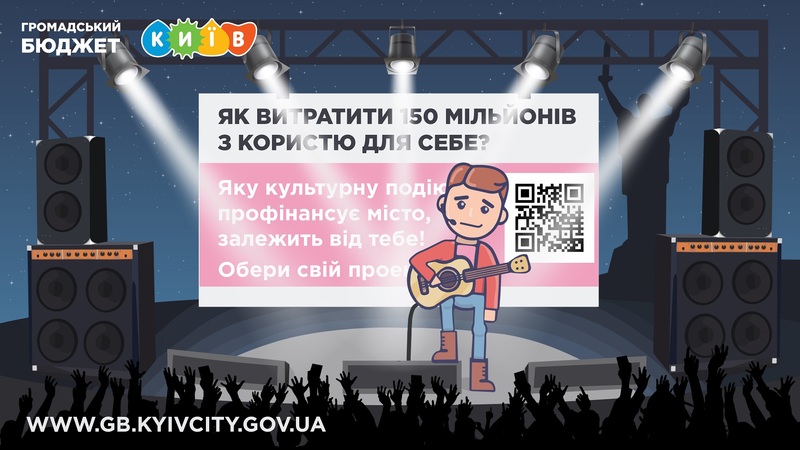 More than 150k citizens of Kyiv joined project by passing the identification, choosing and voting on Civil Budget projects at website. The result of the Civil Budget-2019 is the 341 projects which won and will be developed by city government. The city budget will spend over $5 million to realize projects under the supervision of authors, author groups and the public. Artists, designers, project managers and communication strategies specialists from PUSH-K Solutions gladly took part in the advertising campaign visuals development process. The agency worked not on a commercial basis, it was a creative and professional challenge for us, which we decided to take. 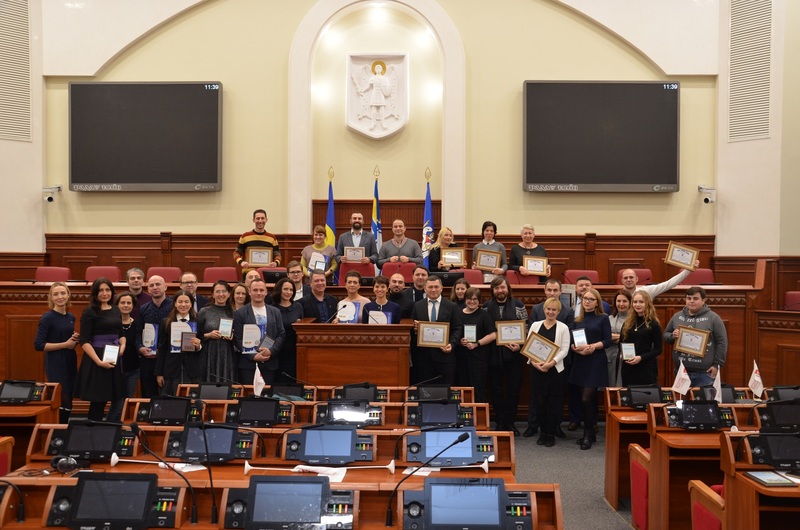 The only reward we expected was to bring real benefits for the Civil Budget program as for the civil society and direct democracy institution – to increase the efficiency of each hryvnia spent by the city for a media campaign to involve citizens of Kyiv in debating and voting for Civil Budget projects. 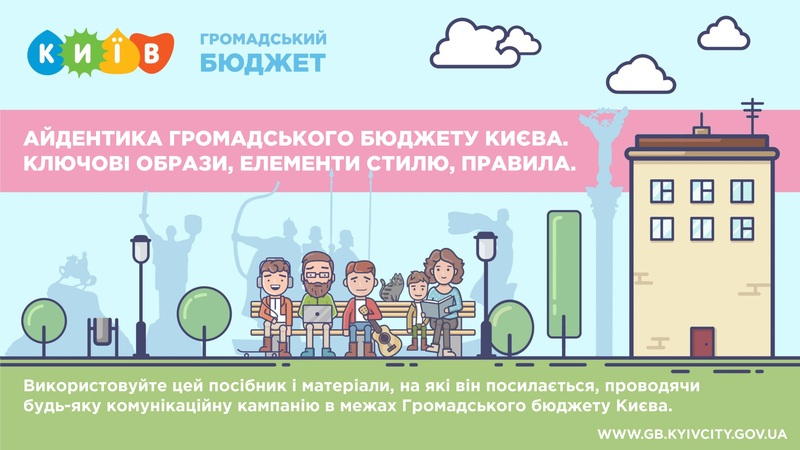 KEY VISUAL for the 2019 Public Budget campaign, which claims to be the main symbol of this important municipality project. In addition to the artistic attractiveness, the Key Visual has a clear sense and is a good platform for future communication campaigns artworks. SENSE. The founders of Kyiv (Kyi, Shchek, Khoryv with their sister Lybid) became the prototypes of the Key Visual characters. They founded the city, our personages care about it. The associativity line is supported by famous Kyiv founders monument silhouette used as the Key Visual background. In addition to the historical association, the characters embody the main directions of the Civil Budget projects: sport, technology, culture, education. 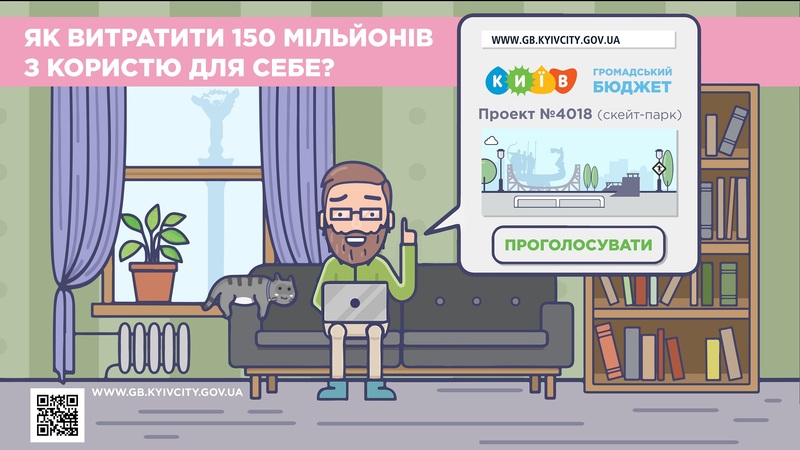 Additional Key Visual elements emphasize other important meanings: cat – animals friendly, bush – ecology, lamp pillar and bench – the city infrastructure and comfort. LOGO OF CIVIL BUDGET. We tried and achieved the result. The original ideas to create the coin based logo symbol were not successful. So, by evolutionary way we came to usage of the existing Kyiv touristic logo in combination with the project title by corporate font. Sometimes the best solutions are very easy but you should take long way to realize. To enhance the campaign effectiveness, we created series of artworks on Key Visual basis. The idea was to make the communication more diverse and adapted to specific social groups, increasing the effectiveness of the campaign. Artworks were not used when it was most needed, unfortunately, we couldn’t influence the media planning – our mission was just artworks. Approved by city artworks were just waiting. To get at least a bit of benefits for campaign from our done work we posted each artwork at PUSH-K Solutions Facebook page on the last voting day and promoted this posts with minimal budgets – over 30k views, hundreds of likes and dozens of reposts for the city. RESUME. 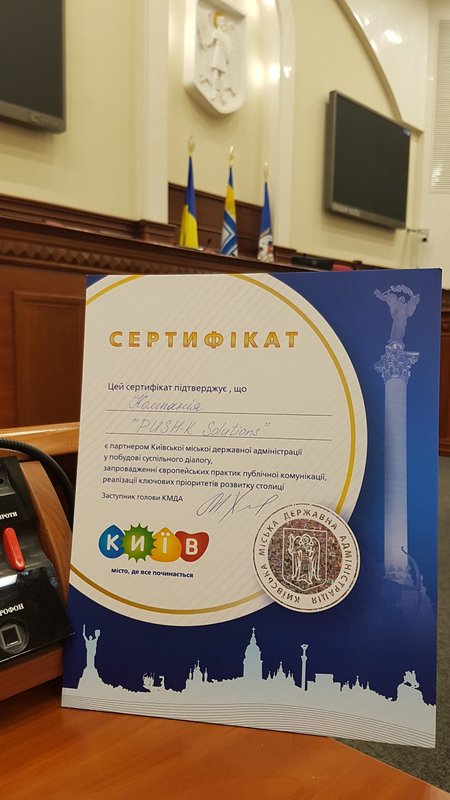 The official Gratitude Certificate from Kyiv City Hall* was perfect surprise for our team and already is placed at the PUSH-K Solutions office. But most important for us is new interesting experience of cooperation with government, public activists and other colleagues in socially-oriented project. 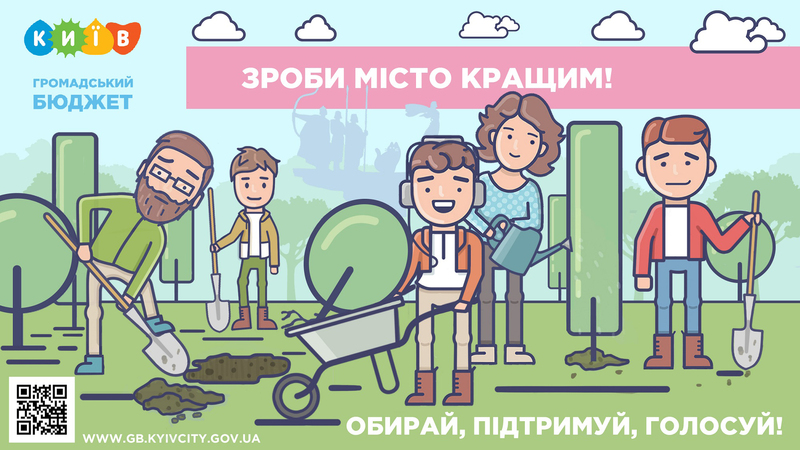 This campaign has shown that civil activists, socially responsible business and government officials are able to solve incredibly complex tasks together for the sake of ordinary people and for building civil society in Ukraine.